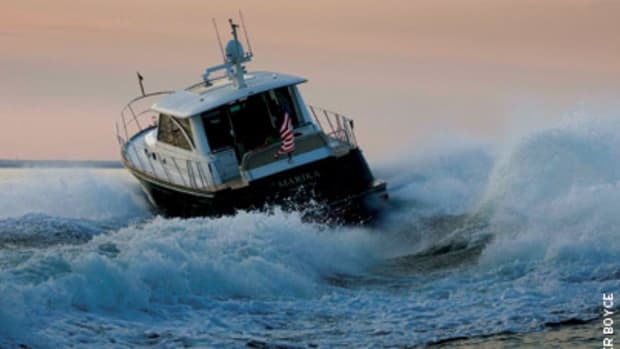 ZF Marine is known for its engine transmissions, pod drives and joystick technology. 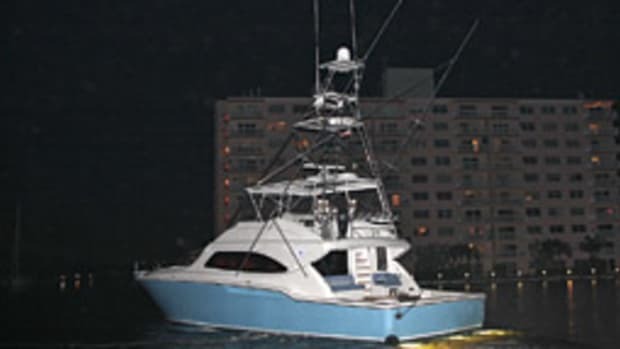 The company packaged all three in a 50-foot Viking sportfish in the water at the Fort Lauderdale International Boat Show. The Viking’s ZF POD 4000 propulsion system works with twin Caterpillar C18 diesels, each rated at 1,150 hp, mated to a ZF 500 series transmission connected to the pods. The ZF POD 4000 is capable of handling the most horsepower of any recreational pod drive on the market, rated to 1,200 hp, according to ZF. Click play to watch the author describes the features on the Viking 50. The Viking, which tops out at about 40 knots, allows ZF to showcase a complete propulsion system, says ZF Marine marketing manager Martin Meissner. The setup includes ZF’s SmartCommand, with the Joystick Maneuvering System and SteerCommand electric steering. To show their independent movement, two cameras were mounted on the hull bottom just forward of the pods. The video was shown on separate displays on the flybridge and on a flat-screen monitor in the saloon. The latter display not only showed the drives but also an overview of the cockpit and the yacht&apos;s wake. It was pretty cool to watch. I drove the Viking for a while, using both the joystick and the standard clutches and throttles. 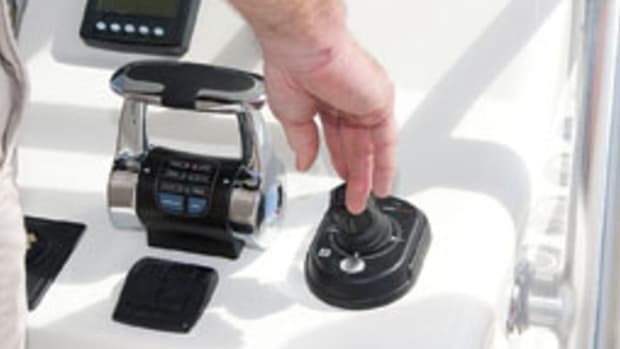 ZF mounted a second joystick inside the starboard armrest of the flybridge helm chair so the skipper can operate the boat while seated. Now that&apos;s boating made easy. 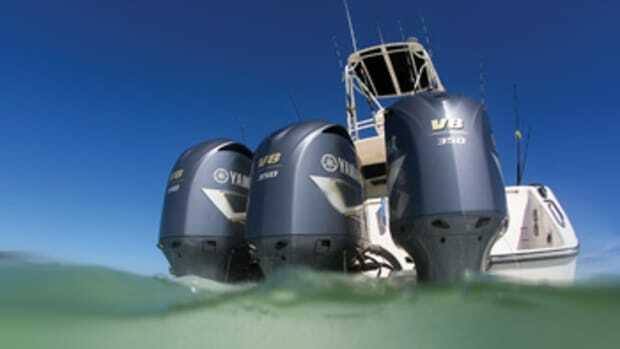 After several years of high-horsepower introductions, outboard manufacturers have shifted their focus to the midrange, with Yamaha debuting a much lighter 90-hp 4-stroke and Evinrude pushing out 2-strokes from 150 to 200 hp with its G2 technology.